Get this $2 coupon on any Woolite product 50 oz. or larger. Go to the Woolite Facebook page, like them, click on the "Coupon" tab on the left-hand side, and print. Click here. I needn't tell you how important staying on top of weather has become recently. 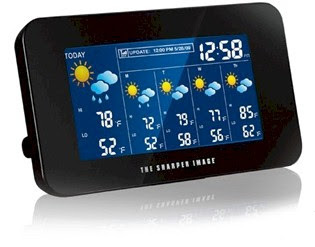 Daily Steals has the Sharper Image Wireless Internet Weather Station for only $14.99, shipped. This is ten dollars cheaper than the identical item sells for on Amazon. Hurry, because it's on sale at Daily Steals for today (5/31/11) only. Click here. Click through the Shop at Home link to Buy.com to make sure you get your 2.5% cash back. You must be a member of Shop at Home and signed into your account to get your cash back. Not a member of Shop at Home yet? It's free. Click here to join and get $5 cash just for signing up! 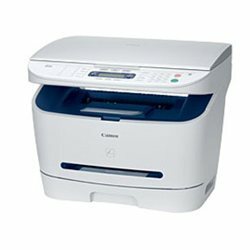 Once you're on the Buy.com website, add this Canon imageCLASS MF3240 Laser Multifunction Printer with Copier, Scanner & Fax to your shopping cart. This printer is on sale for $84.99. With your free shipping and cash back, your grand total on this Canon Laser Multifunction Printer, shipped, is $82.87. Compare this to the identical item on Amazon for $116.11. Add the imageCLASS® MF3240 to your workspace. This compact unit occupies the same area as a stand-alone printer, but is actually a laser printer, copier, color scanner and fax all-in-one. The imageCLASS® MF3240 generates fast, high-quality laser documents at a fast 21 pages-per-minute. The 250-sheet front loading paper cassette and Single Cartridge System create effortless replenishing for continuous output. The imageCLASS® MF3240 can quickly send and receive faxes using the built-in 33.6 Kbps Super G3 fax modem and incorporates a strong list of fax features, including eight one-touch speed dial numbers, 100 coded speed dial numbers, 256-page fax reception memory capacity, sequential broadcasting and activity reports. Optimized for speed, your projects will be accelerated with a USB 2.0 Hi-Speed interface. An optional external print server is available for increased productivity of your small office group. For added productivity the imageCLASS® MF3240 is equipped with color scanning and scanning software. Accepting originals up to 8.5" x 11.7" on the platen glass, you can transfer hardcopy documents into editable text on the PC using ScanSoft® OmniPage® SE Optical Character Recognition (OCR) software, or filed systematically with NewSoft® and Presto! Page-Manager®. Either Way, your scans will be achieved with optical resolution of up to 600 dpi, and an enhanced resolution of up to 9600 dpi. Color depth of up to 24-bit internal/24-bit output to help ensure scans are faithful to original documents. The imageCLASS® MF3240 not only produces outstanding output, it also has a stylish appearance that complements any small or home office. Paper Weights: 17 to 34 lb. Max. Document Size: Up to 8.5" x 11.7"
Rare new Coke coupon: $1 off a 16 oz. or 20 oz. bottle....get it now! 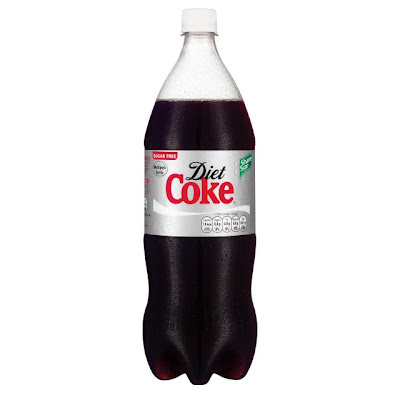 Coca Cola has just come out with a new Facebook coupon for Diet Coke: $1 off a 16 oz. or 20 oz. Diet Coke bottle. Visit the Diet Coke Facebook page, like them, click on the Home tab (on the left-hand side) and print away. Use your back button to print this twice. Coca Cola coupons are very rare, and this one will go fast, so snag it NOW. I hope you all are enjoying your three-day weekends and spending lots of time with your families and friends. 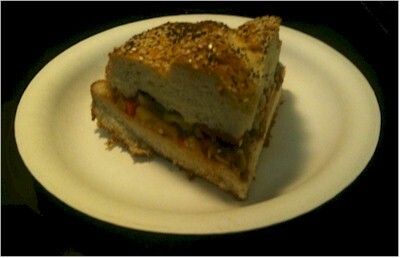 On Monday, May 30, 2011, I'll be guest-posting on the Rhodes Bake-N-Serve blog and sharing my recipe for Rhodes dough Shavuot pizza sandwiches. I hope you'll hop over there and join me! Please do leave a comment if you visit. Click through the Shop at Home link to Radio Shack first, to make sure you get your 3% cash back. You must be a member of Shop at Home and signed into your account to get your cash back. Not a member of Shop at Home yet? It's free. Click here to join and get $5 cash just for signing up! Once you're on the Radio Shack website, add these 36 AA batteries or 36 AAA batteries (or both) to your shopping cart. 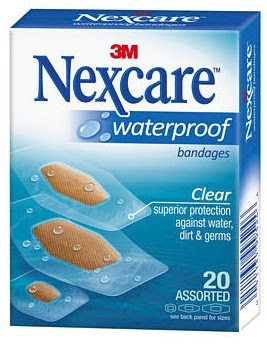 They are marked down by 50% to $9.99 (until 6/4/11). Choose ship-to-store to avoid shipping charges. There are Radio Shack stores everywhere. With your 3% cash back, your grand total on each set of 36 batteries is $9.69. I know I talk about Shop at Home all the time on this blog, but I can't help it; I love getting cash back for doing nothing but shopping. Have you joined Shop at Home yet? What are you waiting for? Shop at Home is a premier, safe, secure cash-back program. Join Shop at Home and buy anything online; when you click through their links to online vendors first, you get a percentage of your purchase back in cash. 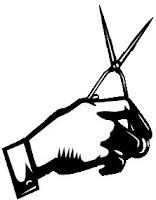 They have most major online vendors listed. So let's say you were planning on buying something online at Lowe's. Instead of going straight over to the Lowes.com website, you would first log in to your account at Shop at Home first, and then click on over to their Lowe's page. You'd click though their link there and then, you'd get 4% cash back on whatever you purchased on the Lowe's website. 4%?" you say? "That's not worth it." But, my frugal friends, it is. If you purchase goods and services regularly online, the cash back starts piling up very quickly. I've gotten over $1,000 from cash back programs over the last couple of years. And the beauty of it is, you're not forced to do something you wouldn't already be doing...you're already shopping online, just clicking through a different link first. I know this is a cliche, but it's like getting free money! I am sooooo going shopping online this week! Check out my favorites and the other nineteen online stores listed here. Remember, cash back rates drop back down at these vendors after 5/30/11! You must be a member of Shop at Home and signed into your account to get your cash back. Not a member of Shop at Home yet? It's free. 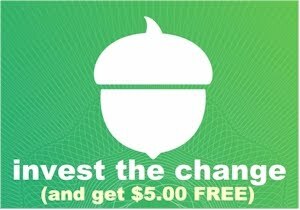 Click here to join and get $5 cash just for signing up and making a purchase! 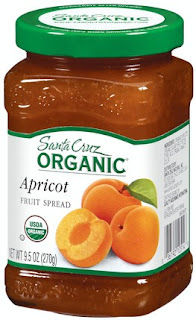 Save $0.75 on any Santa Cruz Organic item. Click here for the coupon. Save $1 off any Tums product 24 count or larger. Click here for the coupon. Get $0.55 off any 12 oz. Odwalla Juice or Smoothie. Click here for the coupon. 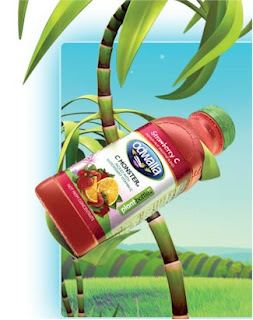 If you're buying this at Whole Foods, and your local Whole Foods allows you to stack manufacturer coupons with store coupons (as all the Whole Foods in Denver do), make sure you stack this with the current $0.55 Odwalla Whole Foods coupon for a total savings of $1.10 per bottle. 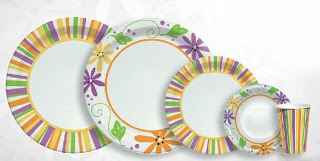 Get a $0.75 coupon off any Solo tableware product. I use their giant red plastic cups for our July 4th barbecue. Click here for the coupon. I'm always hearing from coupon naysayers about how difficult it is to get coupons for quality organic products. I beg to differ! They're out there if you look. 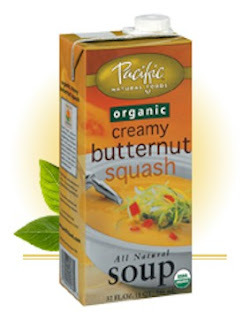 Pacific Natural Foods has got some great new coupons on their site, including some for their kosher organic products. I printed the ones for $1 off their soups (I love their butternut squash and cashew carrot ginger soups, yum) and $1 off their non-dairy beverages (soy milk, etc.). Click here to print the coupons. Free Itunes download of The Cars' "Sad Song"
Itunes gives away many free downloads, but they are usually from unknown, up-and-coming bands. 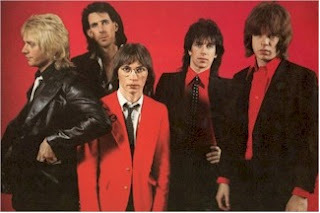 Here's one from one of my favorite eighties bands (I miss Benjamin Orr), The Cars. It's called Sad Song, and even though it's new, it's got a very authentic "Carsy" sound to it, imho. 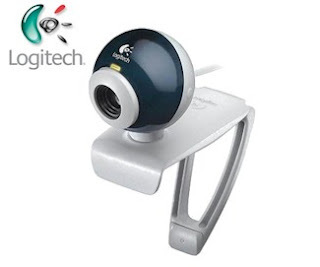 Get this Logitech QuickCam Chat V2 USB video webcam for only $4.99 with free shipping, from Daily Steals. This deal is available today only, so act quickly. Click here. Compare this pricing to the identical item selling on Amazon for $39.99 plus shipping. 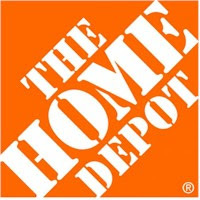 Click through the Shop at Home link to Home Depot to make sure you get your 10% cash. Please note, the 10% cash back rate is only good until 5/30/11. After that, it reverts back to the regular 3% cash back. You must be a member of Shop at Home and signed into your account to get your cash back. Not a member of Shop at Home yet? It's free. Click here to join and get $5 cash just for signing up! Once you're on the Home Depot website, add this Hampton Bay Edisto 52 inch Berre Walnut ceiling fan to your shopping cart. 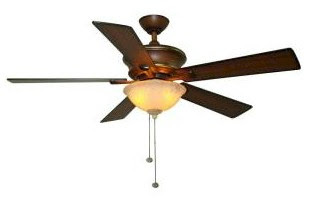 The ceiling fan is on sale for $59.88. Use promo code SAVING5 at checkout. Your price drops to $54.88. With your 10% cash back, your final price is $49.39. A deep berre walnut finish gives an elegant look to the Hampton Bay Edisto 52 in. Berre Walnut Ceiling Fan. Crafted from durable plywood, the fan's 5 reversible blades quickly generate a refreshing breeze and are finished in smoke walnut and cherry colors for an elegant look. This versatile ceiling fan offers 3 unique operating speeds and a reverse-airflow function to suit your unique air-circulation needs. 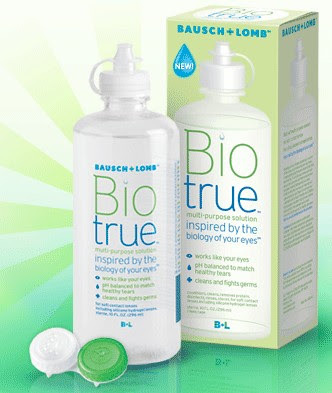 Large rooms: room size up to 20 ft. x 20 ft.
Get a $1 coupon for BioTrue contact lens solution, 10 oz. or larger. Click here. Click through the Shop at Home link to SuperJeweler to make sure you get your 12% cash back. You must be a member of Shop at Home and signed into your account to get your cash back. Not a member of Shop at Home yet? It's free. Click here to join and get $5 cash just for signing up! 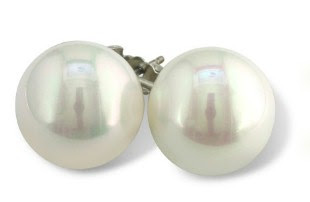 Once you're on the SuperJeweler site, add these 12mm shell pearl stud earrings in sterling silver to your shopping cart. They are on clearance for $6.99. With your 12% cash back, your final price on these classic earrings is $6.15. I'm going to pick up four pairs with Chanukah in mind. Thinking about Chanukah in May? Yup. Because the smart frugal shopper shops for Jewish holidays all year round. 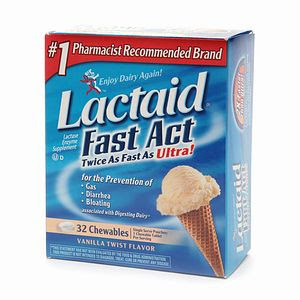 Get a free sample of Lactaid Fast Act Dietary Supplements. Click here. 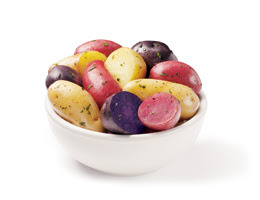 Klondike potatoes has another great buy-one-get-one free coupon available, this time for their delicious gourmet potatoes (24 oz. bags). Click here to print it before it's gone. Click through the Shop at Home link to Borders to make sure you receive your 6% cash back. You must be a member of Shop at Home and signed into your account to get your cash back. Not a member of Shop at Home yet? It's free. Click here to join and get $5 cash just for signing up! 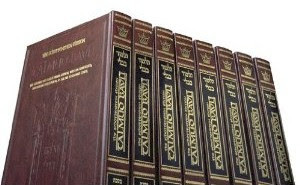 Add this Schottenstein Talmud set to your order. The price is listed at $2,099.99. Also at checkout, sign up for Borders Rewards Plus Membership for $20. You will receive an additional 10% off your order. (You'll also receive a free $10 Borders Bucks certificate, a bonus 10% off at Borders for a year, and free shipping on all Borders.com purchases with no minimum order size for a year.) Your price will drop to $1,369.99. Excluding any sales tax, your final price will be $1,369.99. After your 6% cash back from Shop at Home, your final price will be $1,287.79 plus sales tax (which comes to $55 in Colorado, YMMV). 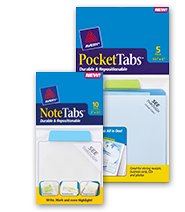 Get $1 off Avery NoteTabs or PocketTabs product. Click here for the coupon. Save an extra 35% off select Kellogg's cereals and sold by Amazon.com. Save 20% when you enter promo code KELLOGG6 at checkout. Plus, save an additional 15% when you combine the instant rebate with your Subscribe & Save order--bringing your total savings to 35%. Make sure you select the Subscribe & Save option at checkout; you can always easily cancel it once you've placed your order by going to your account settings. Offer valid through May 31, 2011. See rules and restrictions. Here are the Kellogg's cereals that qualify for the discount. Click here to view this Amazon deal on four 18.2 oz. 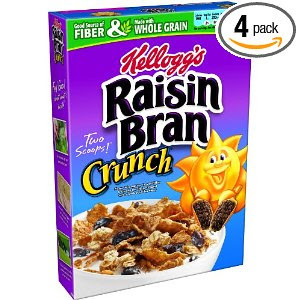 boxes of Raisin Bran Crunch for $11.83. Shipping is free with Subscribe & Save. Enter promo code KELLOGG6 at checkout to lower the price even further to $7.69 (35% off) or $1.92/box, shipped to your home. Do you have a Continental Airlines Chase credit card? Get 100 Continental One Pass miles just for entering your One Pass number on this page, no later than 6/30/11. Click here, and look for the box shown above, on the top, right-hand side of the page. Enter your One Pass number and then hit Enter, and boom, you're done. Bonus miles will be deposited into your OnePass account within 4–6 weeks after the end of the promotion. 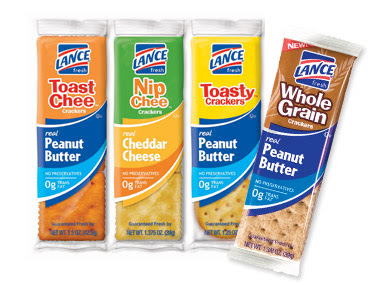 Go to the Lance Facebook page and like them to download some great coupons. My favorite is the $0.55 on their sandwich crackers packs, (kosher OU-Dairy). I toss one into my husband's lunch bag every day for his carb and cheese fix! Because this coupon is less than a dollar, make sure you redeem it at a supermarket that doubles coupons for greatest value. Get a free sample of Benjamin Moore Arborcoat exterior stain. 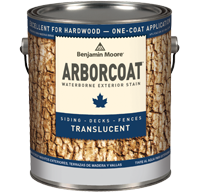 Like the Benjamin Moore Facebook page, click on the Arborcoat coupon (on the left) and print the coupon. Get four adult movie tickets at any AMC Theater (including Loews®, Cineplex Odeon, Magic Johnson, and Star theatres) for just $6 each when you buy them through BuyWithMe. These tickets DO NOT EXPIRE. My husband and I go to the movies at least twice a month and that's easily $40 spent right there. I'm always seeing deals on popcorn and soda (which we don't eat at the movies) but I rarely see deals for tickets that are 40% off, unless they have to be used within a certain time frame. But these AMC tickets never expire. Woohoo! At this great price, we are going to treat a couple of friends of ours to a night out at the movies. (It's a shame I can buy only four tickets!) Click here for this fantastic deal. Your tickets will be mailed to the address you provide at BWM checkout within 21 days of purchase; all shipping and processing fees are included. Tickets are valid for any AMC®, shipping is available anywhere in the continental US. Once you receive your tickets in the mail, they can be redeemed for admission at any AMC Theatres® location; not valid for online or kiosk purchasing, or reserved seating. Good at any AMC®, AMC Showplace, Loews®, Cineplex Odeon, Magic Johnson, and Star theatres, excluding Canadian theatres. Not valid for special engagements. Valid only for movies that are two weeks out from their original release date. Extra charges may apply for 3D, IMAX®, ETX, Dine-In theatres, alternative content, and premium services and locations. Shows and seating subject to availability. No age restriction to redeem, but movies are subject to MPAA age restrictions, based on MPAA rating. Movie ticket photocopies are not allowed. 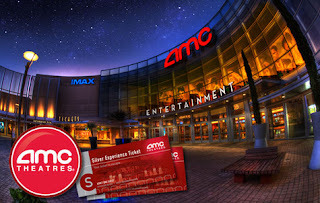 AMC Theatres® movie tickets do not expire. Click here to get your $6 AMC movie tickets NOW. I hesitate to post Amazon deals, since they tend to disappear on a dime, but this is a good one. Let's see how long this one sticks around. 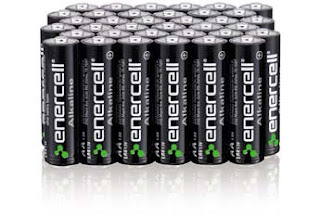 Get 28 triple A or double A sized batteries at Amazon for $10.98 or $0.39/battery. Here's how. Add these triple A Duracell Coppertop or double A Duracell Coppertop batteries (both priced at $14.65) to your Amazon account, but use the Subscribe and Save option over on the right. Using the Subscribe and Save option immediately slices 15% off your price, lowering your price to $12.45, and gives you free shipping. Get an extra 10% off by using promo code DUR5CELL at checkout. This code expires 5/25/11 and can be used once per customer. This will lower your price to the final $10.98, or 39 cents per battery. If you don't want to receive batteries on a regular basis, you can always unsubscribe to Subscribe and Save. After you are logged into your account, click here and then click "cancel this subscription." You can do this at any time after your order. Spend $300 at ShopRite, using your Price Plus club card and American Express card, from 5/22/11 through 6/11/11, and you will receive a $25 gas card free. It's not unreasonable to spend $300 over three weeks, so if ShopRite is your regular supermarket, now is a good time to shop (but never buy stuff that you don't need just to qualify for the promotion!) . Make sure you use the same Price Plus club card and America Express card each time you shop. Details are here. Spring is here! It's time to get your garden in shape. 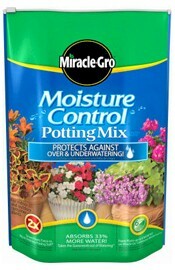 Get $1 off Miracle Gro Moisture Control Gardening Soil or Potting Mix. Click here. If you haven't already printed it, don't forget about this offer to get $3 off Miracle Gro Expand 'n Gro. Get $1 off Hartz puppy training pads. Click here. 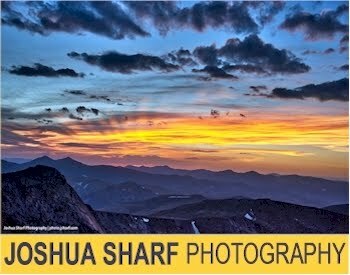 I love Shavuot; it's one of my favorite Jewish holidays. Unfortunately, I don't love eating dairy, or rather, it doesn't love me. For health reasons, I can't eat most dairy, except for yogurt and the occasional dollop of skim milk in my coffee. On the other hand, my husband would have cheese at every meal if he could! On Shavuot, I usually switch off between a cheese-based and a fish-based main dish and appetizer at each holiday meal. So for the cheese-lovers amongst you, stay tuned folks, because I'm going to guest-post my Rhodes dough Shavuot veggie pizza recipe on the the wonderful Rhodes Bake-n-Serve blog on May 31st. But until then, here's one of my favorite fish recipes. It's extremely easy, fast, and it usually gets rave reviews. And since it's made with Costco's salmon or steelhead trout, it's about as frugal as fish recipes come. Be'tayavon! Unwrap and rinse the fish fillets. The Costco/Kirkland fillets are all thick center cuts, and are skinned and boned already. Combine all the other ingredients except for the sesame seeds in a gallon ziploc bag and shake well to combine into a marinade. Pour about half the marinade into a second ziploc bag and then put half the fillets into each bag. Shake well to coat the fillets. Marinade in the refrigerator overnight (or at least 4 hours). Remove fillets from bags and discard leftover marinade. Bake or grill the fillets at 350 degrees Fahrenheit for about 10 minutes on each side or until flaky. If you are serving as an appetizer, cut each fish fillet in half, and this recipe will serve 14. 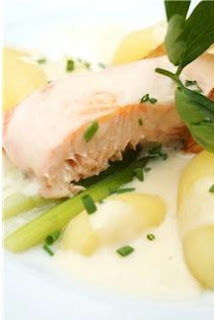 If you are serving as a main dish, each fillet will be one portion and this recipe serves 7. Garnish each portion with sesame seeds (or parsley) and serve either hot or cold. Simple and seriously yummy. Goes great with whole-wheat couscous as a side. Everyday Source, one of my favorite websites (I'm a gadget freak) is having a buy-one-get-one free sale on some great accessories and peripherals. Check out the qualified items here. Just buy any two of these items, use code MBOGOSALE at checkout and one item (the cheaper one if they are different prices) is free. This offer expires 6/15/11. I think this is just the week for GREAT coupons. Click here to print a coupon for $2 off any pack of Rayovac batteries. 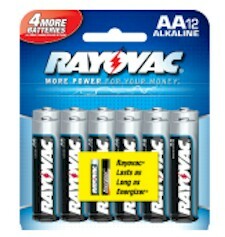 The Rayovac AA and AAA four-packs go for about $2 at Walmart, so can you say free batteries? Free batteries = good batteries. Don't forget to like the Rayovac Facebook page for even more battery coupons. 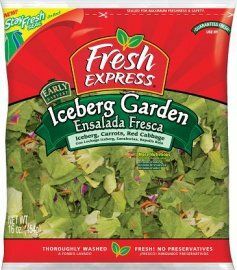 Get $1 off any Fresh Express bagged salad. Go to the Fresh Express Facebook page, like them, and click on the Special Offers tab on the left. Print your coupon, and use the back button to print it twice. Most of their salads go for about $2, so this is a really great save! This is probably my favorite coupon of the month because I buy Fresh Express salad bags weekly. Buy 6 Frontline Plus or Top Spot treatment doses and get 1 free. Buy 6 Frontline Plus or Top Spot treatment doses and get 2 free, when you share the coupon on Facebook, Twitter or on email. 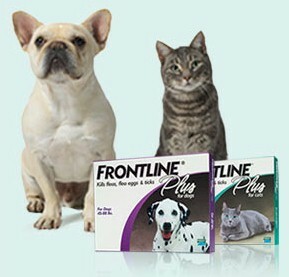 Buy 6 Frontline Plus treatment doses and get a free rabies vaccine (expires 6/30/11). All of these coupon need to be redeemed with your veterinarian. Click here for these offers (click on the "Killer Savings" tab). Coupons.com has a whole bunch of new coupons, including many great coupons for over-the-counter medications. Print away! Get $20 off your $50 purchase at Blue Nile jewelry, when you like their Facebook page. Go to the Blue Nile Facebook page here, like them, and click on the "Special Invitation" tab on the left-hand side. Fill out the form to get your personal $20 off $50 coupon, which expires on July 31, 2011. Most of the items on their website ship for free. Blue Nile doesn't often hand out 40% coupons, so this is a great deal. I'll be very honest with you: I'm not a Lady Gaga fan. That said, it looks like millions of people disagree with me! Amazon's Daily Mp3 Deal for today only (5/23/11) is Lady Gaga's new album, Born This Way, and it's is available for download for only $0.99! This album includes 14 tracks and a digital booklet. Click here for this 99 cent deal, today only. This album goes for $15.99 on Itunes, so this is a very good deal, especially if you're a Lady Gaga fan. Additionally, when you buy this Daily Deal, you'll get an upgrade to Amazon's 20 gig Cloud online storage drive for one year. Details here. 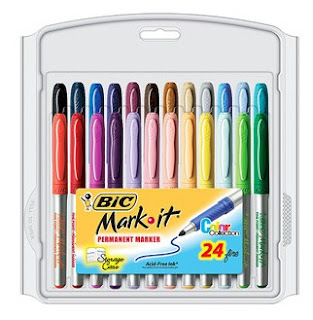 Bic has a new coupon on their Facebook page: $5 off Bic Mark-It permanent markers, 24 or 36 packs. Go to their Facebook page, like them, and print the $5 coupon. Use your back button to print it twice. Walmart has the 24 pack of these markers for $12.88, so it looks like you can snag them at about a 40% savings....great deal. 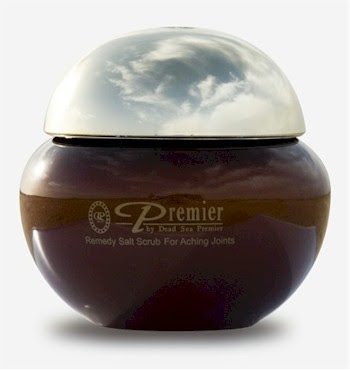 Dead Sea skin and beauty products have long been known for their rejuvenative qualities. (I've been using Dead Sea bath salts for years now.) Now you can buy them for half price at Beauty Secrets Outlet through this Jdeal. BSO carries the Premier line of Dead Sea products, including salt scrubs, mud treatment, body butter, cleaner gels and toners, facial serums, eye and neck creams, masks, and more. May buy unlimited number of vouchers and vouchers may be combined. Redeemable online only at Beauty Secrets Outlet. May redeem voucher(s) starting two business days after purchase. Not valid with other offers and subject to availability. Must use in one visit; no cash or credit back and must use full amount of voucher. Click here for this Dead Sea skin care Jdeal. The honey coupon is back! Remember to use this $0.75 coupon in a supermarket that doubles coupons, for your greatest savings. We know from our experience in preparing for Passover that shopping for a holiday takes place all year round. Even though Rosh Hashanah is a whole four months away, I'm going to print this coupon twice (using my back buttom), look for some sales, and pick up two jars of this honey for the High Holidays. Why so early? Because 1) honey never spoils 2) there probably won't be any honey coupons or sales in September, when the honey will be flying off the shelves. A smart frugal kosher shopper is always planning. 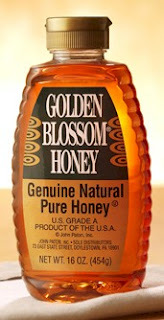 Click here for the Golden Blossom coupon. 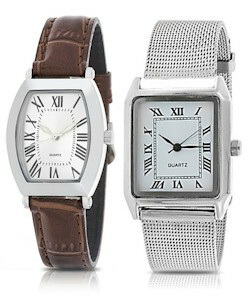 Today (5/22/11) only, get your choice of either this leather strap or mesh strap watch for just $1 with free shipping, from 1SaleaDay. Wow. Click here. 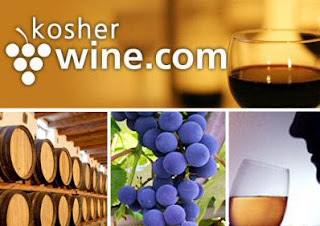 Jdeal: $25 for $50 worth of wine from kosherwine.com - Cheers to an amazing Jdeal! Hurry, this deal will be gone after TODAY (5/22/11)! This is a FANTASTIC deal, especially if you are planning to do some entertaining this summer. Jdeal is now offering $25 for $50 at kosherwine.com. Whether you use it to stock up on your favorite Shabbat dessert wine (did someone say Moscato D'Asti?) or to buy one of their elegant gift baskets, this is a terrific deal and a great bargain. Really good social purchasing deals on quality kosher goods are rare and hard to come by, and they usually take place in the New York area....here's an opportunity to snag one wherever you might live! This Jdeal is available through Sunday, 5/23/11. Click here to get this wonderful Jdeal. L'chaim! 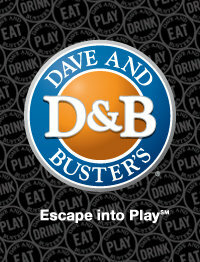 Get your $10 game credit (good until 5/31/11) at Dave & Buster when you enter your email address here. make 3 direct deposits each of $500 or more within 3 months of account opening. Between 3/26/11 and 6/24/11, you must open a Key Express (this is the basic banking account in NY), Key Coverage, Key Advantage, Key Privilege, or Key Privilege Select Checking Account online and make at least 10 posted payments and/or purchases from the new checking account per month for the first three months after account opening, plus within three months make a total of three direct deposits each of $500 or more to get your gift. One month is calculated as 31 calendar days from account opening date (three months equals 93 calendar days from account opening date). Limit one gift per qualifying account. Limit one gift per individual. The value of your gift will be reported on Form 1099-INT. Your gift will be shipped within 90 days of meeting requirements. Qualifying purchase and payment transactions include checks, MasterCard signature, PayPass® and PIN-based purchases, Key Bill Pay, debit card automated payments, PayPal® transactions, and Automated Clearing House (ACH) direct payments. Direct deposit transactions are limited to payroll, Social Security, pension, and government benefits. Offer available to individuals without an existing checking account at KeyBank as of 3/25/11. Offer not available to individuals who have opened a KeyBank checking account in the last 12 months. Employees of KeyBank, its affiliates, and subsidiaries are not eligible for this offer. If you close your account within 180 days of account opening, you will be charged a $25 account early closure fee. Accounts overdrawn or closed as of 9/30/11 are not eligible for this offer. Accounts titled as Trust Accounts, Estate, Non-Individual, and No Access are excluded from eligibility. You must have a U.S. mailing address on 9/30/11 to be eligible. Offer is subject to cancellation without notice and cannot be combined with any other offer. Other miscellaneous charges may apply. Get a free sample of Garnier Moisture Rescue at Target. Hurry over; Target free samples go quickly. Click here. 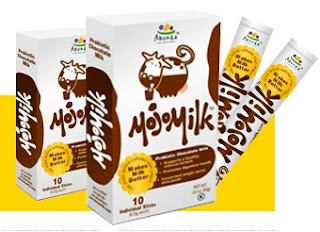 Get a free sample of Mojo Milk, a new brand of chocolate milk containing healthy probiotics. Click here to send for the sample. You must post about it on Facebook or Twitter in order to receive the free sample. One sample per person. FYI for all you Cheapskate readers who keep kosher, Mojo Milk is under O-K hashgacha. 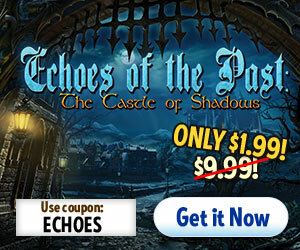 Get the Big Fish hidden object and puzzle game, Echoes of the Past: the Castle of Shadows for only $1.99 (regularly priced at $1.99), when you click through the special links below and use promo code ECHOES at checkout. To install this game on a PC, please click here. To install this game on a Mac, please click here. 20% off two pairs of shoes at DSW, today only.